According to a story by Gardiner Harris in today's New York Times, Stanford University will announce a new policy intended to make it harder, if not impossible, for drug companies to influence the content of CME courses. 1. The new policy is based on the work of a Task Force on Industry Support of CME which provided the Dean with a menu of options, including the possibility of banning all industry funding. 2. The impetus for the Task Force included several reports on industry funding of CME that I've covered in earlier postings, including the AMA's CEJA proposal, the Macy Foundation report, and the recommendations of the American Association of Medical Colleges (AAMC). At the same time, the School recognizes that industry may wish to provide CME program support that is not designated to a specific subject, course or program but that is intended for use in a broadly defined field or discipline or field of study. Accordingly, if such support from industry for CME is received it must be directed to the Office of Continuing Medical Education. The Office of Continuing Medical Education will be responsible for coordinating and distributing funds for CME programs in the following general categories: medical, pediatric and surgical specialties; diagnostic and imaging technologies and disciplines; health policy and disease prevention; or other areas approved by the Office of CME. Such industry support cannot be designated for a specific course or program, but every effort will be made to direct support, as appropriate, to the specified general areas of interest, as noted above. While this new policy is absolutely a step forward, the devil will be in the details of how it is implemented by Stanford's CME Office. New JAMA History of CME: "When Will We Ever Learn?" The current issue of JAMA (Journal of the American Medical Association) contains this interesting history of the relationship between the pharmaceutical industry and medical education. It turns out that the rancorous CME debate that we consider to be modern is anything but, having its origins in the late 1950s, and early 1960s, when direct marketing to physicians in the guise of education heated up. Now, nearly 50 years later, Dr. May’s quote still captures the essential damage done to medical practice by industry funding of CME. The JAMA paper also reminds us that long before Charles Grassley and the Senate Finance Committee began its current investigations, two congressional hearings had already led to some reforms: the Kefauver Hearings of 1959-1962, and the Kennedy hearings of the early 1990s. The Kennedy hearings forced PhRMA to develop its “voluntary” ethical codes, and also led ACCME to issue the first version of its Standards for Commercial Support. Nonetheless, the standardization movement of the 1990s did little to stem the growth of the medical education and communication industry, and instead may have helped to legitimize and create a legal defense for the industry, which has increased steadily since that time. Indeed, what will we be tomorrow? It is up to us. As George Santayana once said, "Those who cannot remember the past are condemned to repeat it." Industry-funded CME: Is Commercial Content Ever Appropriate? Dr. Robert Donnell (the writer of Notes from RW ) and I have been debating some key topics related to commercial funding of CME. What if a clinical problem under discussion has only one commercially available treatment, or one drug which is clearly superior to the alternatives? Many topics come to mind in my own areas of interest: Thromboembolism prophylaxis and the risk of heparin induced thrombocytopenia in a post cardiac surgery patient. (Arixtra, the only available anticoagulant with a clear advantage, would be featured). Improving outcome in a patient with severe sepsis: modulating the inflammatory and coagulation cascades. (Gotta be Xigris). Or how about Options for basal insulin coverage in a brittle type 1 diabetic. (Lantus and Levemir would be the clear choices). While Carlat might not think these topics worthy of CME they are common clinically important issues. I just made them up but they are typical of offerings we are likely to see more of given the recent clamor among some academics for more focused, case based CME. There are definitely a few situations in medicine in which there is one and only one reasonable treatment, and in those cases a sponsored and an unsponsored program would have essentially the same content. But these are exceedingly rare. In psychiatry, I can think of no examples at all. In most of medicine, there are multiple competing treatments, none with any clear advantage for most patients (which is a good thing for medical choice and progress). I suppose that one policy implication of Dr. Donnell's argument is that we might create a list of those few one-best-treatment topics, and allow industry funding for these topics only. It sounds unworkable to me, given the pace of medical progress and the disagreements among academics regarding treatments of choice. On the surface that is so obviously true it’s a cliché, but a literal reading of the words would restrict comments on benefits of drug treatment to coverage of generics and orphan drugs! That’s not what the ACCME intended, so there has to be room for interpretation. I disagree. This section does not prevent industry from funding discussions of both branded and generic drugs, as long as the discussion is not slanted toward one particular agent. If there is no slant, then the CME activity does not promote a “specific proprietary business interest.” The problem is that medical education companies have become specialists in the techniques of subtly slanting programs in the direction of the sponsor’s product. Such programs, indeed, are non-compliant with ACCME standards. While we all agree on the importance of quality educational offerings the debate over CME will go on. My take? Medscape CME may have quality problems. I differ from Dr. Carlat in that I think its offerings should be adjudicated case by case. By “quality problems,” does he actually mean “bias problems?” The problem with the idea that the solution is to “adjudicate case by case” is that the ACCME will never have the resources to even begin to do this. Working as a volunteer, it takes me hours to unravel the mechanisms of commercial bias in a single psychiatry CME program, and I can do this only because I have a very good familiarity with the literature in the field. How can ACCME hope to monitor these programs in all the different specialties of medicine with a staff of 12, most of who are not physicians? There are literally thousands of commercially-sponsored programs per year. As an example of how ACCME is doing, I lodged a formal complaint about a course on drug interactions in psychiatry well over a year ago, a case involving such blatant manipulation of content that one of the authors called it a “piece of commercial crap.” ACCME is apparently still examining the issue, and will not respond to emails requesting an update. They have no formal process for complaint resolution. Case by case adjudication is, I fear, a way of ensuring that there will be no reform. Finally, I would be remiss if I didn’t point out that identification of the payer source is not a litmus test for the quality of a CME offering. No one has demonstrated a general correlation based on high level data. Dr. Carlat offers a few interesting anecdotes. I can easily counter with some of my own. Recently I attended a prestigious accredited course with no support from device companies in which a speaker promoted numerous non evidence based uses for inferior vena cava filters. I’ve seen similar clean, pharmfree and unbalanced promotions of coronary artery bypass surgery and angioplasty. More concerning examples (all ACCME accredited) can be found here, here and here. I could trot out many others. You get the idea. Yes, it’s true that lack of industry funding does not guarantee unbiased presentations. However, presence of such funding almost guarantees a lack of balance. Interestingly, the three activities he cites as “concerning” are programs that would never receive industry funding. They are all courses on integrative or complementary medicine, offered by UCLA, Yale, and NIH. Each covers the clinical evidence for these treatments using evidence-based teaching, but because these techniques have little commercial potential, doctors are poorly informed about them. As an example, few physicians are aware that an NIH consensus statement declared acupuncture to be effective for both post-operative nausea and post-dental procedure pain. Dr. Carlat: What is a “seeding” trial? Dr. Hill: A seeding trial is a study that is designed to appear as though it is answering a scientific question but whose true purpose is to market a medication. Dr. Carlat: But how is this different from any industry-funded trial? Anytime a drug company compares its drug with placebo or another drug, aren’t they planning to use the results to help market their drug? Dr. Hill: That’s true, but a seeding trial is different. In the usual clinical trial, the goal is to answer an important scientific question about your drug and, perhaps, end up with a scientific finding that is advantageous for your drug. You then take that finding, and advertise it to doctors and patients. So the research study itself is not a marketing activity; the marketing comes after the study is over and you have your findings. In Merck’s seeding trial, their primary interest was not in assessing the gastrointestinal tolerability of Vioxx, because they already had a sense of it from other research they had done. ADVANTAGE was not necessary to address the question of tolerability. 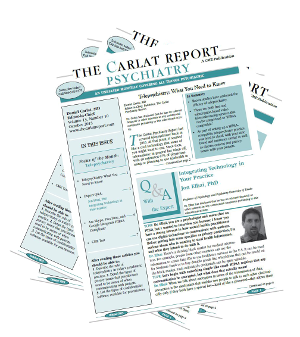 Dr. Carlat: So what was the point of the trial if they weren’t interested in the findings? Dr. Hill: The point of the study was to market Vioxx directly to the researchers involved. The ADVANTAGE trial recruited a large number of community physicians—600—as “researchers.” The point was to get Vioxx into the hands of all these doctors very early in the game, before the drug came to market. Merck hoped that these doctors would find Vioxx helpful, and that they would spread a positive marketing message to other doctors by word of mouth. The company also paid these doctors to go to researchers’ meetings, and paid them a substantial amount of money for every patient they recruited. They hoped that this financial arrangement would also induce loyalty to Merck and, indirectly, lead them to prescribe even more Vioxx. Dr. Carlat: I see. So the “seeds” are the physician/researchers, and the hope is that these seeds grow into a positive buzz for Vioxx among colleagues. Dr. Carlat: It seems like we hear about companies manipulating research in various ways all the time. Why is this a particularly objectionable practice? Dr. Hill: A number of reasons. First and most importantly, doctors and patients were not told about any of these marketing objectives, so they were not given all of the information about what they were signing up for. Generally, patients choose to participate in clinical trials either because they think they might benefit from a treatment, or because they have an altruistic notion of wanting to help the cause of medical science. But if these patients had been told that the trial was designed in order to boost profits of a drug company, I suspect that many might not have participated. In this case, a lot of people risked their health for marketing purposes, and ADVANTAGE is a particularly poignant example because Vioxx increased their chances of having heart attacks. A second problem is that, as opposed to most clinical trials, Advantage was conceived and run solely by Merck’s marketing division without any input from Merck’s scientific division. We had access to company documents, and what was striking was how frank they were that this study was a marketing exercise. There was little pretense within the company that this was in the service of clinical science. Dr. Carlat: What were some of the company documents you saw? Dr. Hill: One of the most revealing was a memo describing an award given by Merck executives to the those in the marketing division who conducted ADVANTAGE . The award describes the trial, quite blatantly, as a marketing program. They were very proud of how they were able to quickly and efficiently get the medication into doctor’s hands. Another remarkable document was an email written by Dr. Edward Scolnick, the head of the research division at Merck. He said that this trial was “intellectually redundant,” and lamented how ADVANTAGE could exacerbate an already complicated situation as Merck was addressing the safety of VIOXX. Dr. Carlat: Did Merck make any effort to track the success of the seeding? Dr. Hill: Yes. We published some of these documents. For example, they did an analysis 6 months after the launch of Vioxx and found that the Advantage researchers prescribed significantly more Vioxx than a control group of primary care physicians who were not part of the research. They also graded a group of rheumatologists from A+ to D based in part on their use of Merck products. Dr. Carlat: Do seeding trials still go on? I finally got a chance over this past weekend to sit down and read Side Effects, the new book by former Boston Globe reporter Alison Bass. 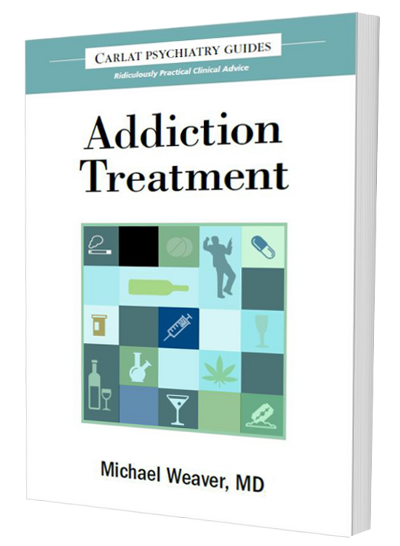 I read the book cover to cover, which surprised me, because I was expecting that this would be an information-heavy repetition of the same territory covered by other recent books, such as Claude Barber’s Comfortably Numb or Marcia Angell’s The Truth about Drug Companies. But Side Effects is different and more riveting, because it tells the story of several individuals, peering into details of their professional and personal lives as the events unfold. It reads like a John Grisham thriller, but it teaches you everything you need to know about how some drug companies have used their marketing and legal muscle to lie about science. 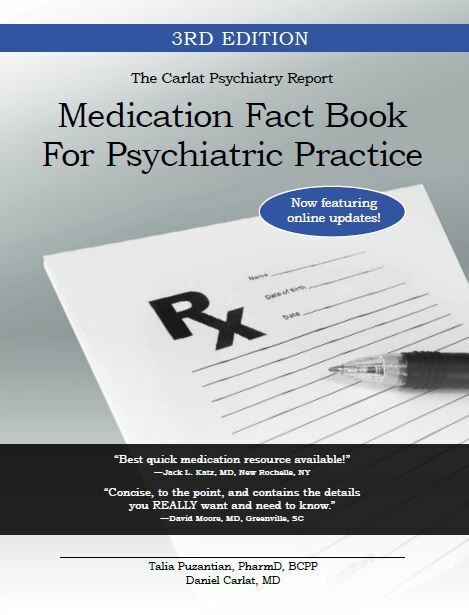 The centerpiece of the book is study 329, a placebo-controlled clinical trial of Paxil (paroxetine) for the treatment of children and adolescents with depression. This study, first-authored by Martin Keller, then and now the chairman of Brown’s Department of Psychiatry, was published in the leading child psychiatry journal in 2001. Here is the abstract from the Journal of the American Academy of Child and Adolescent Psychiatry. As you can see, the conclusion reads: “Paroxetine is generally well tolerated and effective for major depression in adolescents.” As it turns out, it was neither tolerated nor effective. Downloading the study onto her computer, Firestein read the full text of the report and read it again. And again. She grew increasingly baffled. It appeared as if the positive conclusion in the abstract simply did not correspond to the actual data. One of the fun things about this book is that you can participate in solving the mystery as you read. Thus, I, too, downloaded the study and tried to see the problems Firestein detected—and believe me, it wasn’t easy, because so many different outcome variables were analyzed that it’s like cutting through a jungle with a machete to figure out where the relevant result are. This, of course, was part of the problem. The study went on a fishing expedition after the data came in, looking for a measure that would make Paxil look good, because the two primary outcomes were negative. This has been compared to changing the score of a football game by moving the goalpost after the last quarter. And it goes on. I don’t want to steal any more thunder from this magnificent book, so I encourage you to get your own copy. Just don’t expect to get much sleep for a couple of days after you start it, because you won’t be able to put it down. Governor Patrick stood up to intensive last minute lobbying by the pharmaceutical industry and signed a bill limiting gifts to doctors and requiring disclosure of most drug company payments to physicians. You can read coverage of this historic event here and here. It was touch and go at the end there, as the drug industry did what they do best--pumping huge amounts of money into marketing campaigns. They bought a full page ad in the Boston Globe, and lobbied many Massachusetts legislators to write a letter to the Governor urging him to veto the bill. But in the end, people-power trumped misguided corporate interests. Reportedly, 7000 members of AARP (the American Association of Retired Persons) called the governor to urge him to sign the bill, and hundreds more sent emails. I am proud to say that I represented the National Physician's Alliance in supporting the bill, in conjunction with Health Care for All and the Massachusetts Prescription Reform Coalition. Kudos also to Senate President Therese Murray and Senator Mark Montigny, two of the driving forces behind passage of the bill. And of course, congratulations to Governor Deval Patrick, who took a courageous and historic step. I knew he wouldn't disappoint us! Can CME be both Biased and Accurate? Of Course! Concerning the Invega article, cited in his post on Medscape’s “CME corruption”, Carlat wrote "Has Janssen--I mean, Medscape--said anything inaccurate in this puff piece? No." That, we are to believe, is not important. In Carlat’s way of thinking the fact that the CME article is favorable to a product of the sponsor is damning enough without regard to the accuracy of the piece. It's not that I believe accuracy is "not important." In fact, I believe accuracy is vitally important for CME. Unfortunately, however, accuracy does not protect CME articles from commercial bias. The clearest argument is to compare drug advertisements with CME. The FDA regulates all industry advertisements for accuracy. Drug ads are required to make accurate claims about both the efficacy and the side effects of the sponsors' products. When ads are inaccurate, the drug companies can count on receiving nasty letters from the FDA such as this one, which scolded Pfizer last year for presenting inaccurate information about their antipsychotic Geodon. Medscape's CME article on Invega is accurate, but is nonetheless promotional and commercially biased, because it focuses on the one clinical situation in which Invega offers an advantage over its competitors. It does not discuss advantages of other antipsychotics, nor does it discuss the many potential disadvantages of using Invega. Likewise, Janssen produces advertisements for Invega which are accurate, but commercially biased. For example, here is a link to an advertisement for Invega . In all 3 pivotal studies, INVEGA demonstrated significant improvements in PANSS total scores at all doses (3 mg, 6 mg, 9 mg, 12 mg ) versus placebo (P<0.001)." There is nothing inaccurate here. Invega, like all FDA-approved antipsychotics, is efficacious for symptoms of schizophrenia. It does, indeed, demonstrate improvement in PANSS vs. placebo in all 3 pivotal studies. Nonetheless, this accurate medical information is commercially biased, because it is organized around the advantages of the sponsor's product and does not discuss the features of its competitors. For example, the ad does not mention that Invega performed poorly relative to Zyprexa in some of its FDA trials. or quality in healthcare and not a specific proprietary business interest of a commercial interest." By contrast, advertisements are crafted specifically to serve a company's business interest. "Presentations must give a balanced view of therapeutic options." Again, Janssen's drug ads are accurate but they do not give a balanced view of therapeutic options for schizophrenia. Nobody would expect such a balance--after all, these are ads. However, the Janssen-funded CME article is supposed to give a balanced view, but it does not. Not only is the entire article organized around Invega's clinical advantages, but it ignores its two most conspicuous disadvantages: hyperprolactinemia and extrapyramidal symptoms (EPS). Instead, the article highlights weight gain and diabetes--side effects of great relevance to Invega's competitor Zyprexa. The bottom line is that accuracy is a minimum requirement of both CME articles and drug ads. In my experience, it is rare for industry-sponsored CME to be blatantly inaccurate. Instead, accurate statements are strung together strategically in order to encourage the use of the sponsor's product--and to discourage use of the competitor's. It's down to the wire for Massachusetts Health Care Reform, and a corsortium of drug company interests is playing hardball to influence the Governor, as covered in today's Boston Globe here. Truth is not on their agenda. In this full-page ad in yesterday's Globe, the companies urged Governor Deval Patrick to veto the bill known as S. 2863. The ad is filled with so many inaccuracies that it's hard to know where to begin. 1. "The legislation that awaits Governor Patrick's decision will significantly curtail, if not end altogether, the availability of these last hope clinical trials in Massachusetts." 2. "The legislation...will have a direct and immediate devastating impact on the lives of thousands of people across the Commonwealth." False. There will be little, if any impact, largely because the partial gift ban included in the bill is the same ban the pharmaceutical industry just adopted for itself as an ethical code. Unless, that is, these companies have already been making strategic plans to flaunt their own self-imposed regulations. The Boston Globe itself is not fooled, and the paper strongly supports the legislation in today's editorial. You can also read more details about the misinformation in the ad here, in the Prescription Project's excellent blog, Postscript. On a more personal note, I recall having attended one of the Governor's early fundraising events in 2005, soon after he announced his candidacy. It was at the Grog in Newburyport, and Patrick gave an electrifying speech, emphasizing truth and transparency in government. Given his commitment to the welfare of the people, I am confident that he will do the right thing by signing S. 2863 into law. Hello diary. My name is Gilt Racked, and I work as a medical writer for a company called Medbribe. You’ve probably heard of us. We’re only the largest web portal and CME provider in the U.S.—but who’s bragging? I’ve been having strange feelings lately. Mainly at work. I don’t know what to make of them, but I hope writing in this diary will help. I took the subway into work today, and the first thing I heard when I walked into my office was the very loud voice of my boss, Mr. Grant. It was hard to hear him because he was on the other side of the Glassdoor. You see, the ACCME came up with this new policy saying that Medbribe’s advertising department had to be separate from our CME department. One day, management installed a Glassdoor between the departments to maintain compliance with the new regulation. It’s a little annoying. My voice has gotten awfully hoarse lately. Anyway, Mr. Grant told me to read the latest issue of BusinessDay, saying that we had gotten burned by that “infernal do-gooder,” Dr. Care-a-lot, again. I thought for a moment. I remember having had a "through-the-Glassdoor" meeting with marketing two weeks earlier. Some guy in sales came up with the idea of making up a case of a patient with schizophrenia and liver disease. He said a Ransom exec had told him this was the best way to highlight Inveigle. I think Mr. Grant could see the sweat on my forehead. I swiveled my chair around to face our five-point Medbribe Mission Statement. 1. Another Day, Another Million. 2. Our Customer’s Message drives our Mission. 4. Keep your HG’s Happy. 5. We are Medbribe. We are CME. I sighed, and turned on my computer. Lire has a new drug for ADHD. I had to come up with a case to highlight it. But not too obvious this time. Got it: how about a guy who has comorbid bipolar disorder. First we get him treated with Seroquel or something, some therapeutic class that Lire doesn’t compete in. This unmasks his ADHD and then we treat him with Lire’s new drug, Lievanse. I felt good about this one, and finished it lickety-split. I sent it off to the HG (Hired Gun) on the project by the end of the day. I knew this doctor--he would sign off on it right away for his $2000 honorarium. Oh, diary, I think I’m really good at this job. I hope I don't disappoint Mr. Grant this time! BusinessWeek's article spotlighting the problems with industry-funded CME has generated a fair amount of reponse, mostly from Medical Education Communication Companies or their surrogates. Here's a round up. "Political fallout from the Pfizer decision not to fund medical communication companies (MECC's) in July, includes a Business Week article titled: Teaching Doctors—or Selling to Them? This is basically a rehash of the Pfizer MECC decision along with some free PR for Danny Carat, MD, the gadfly anti MECC blogger (who by the way has no conflicts of interest except that his CME newsletter business will increase if he gets his way and ends commercial support of CME – oh, yeah, he forgot to mention that in the article – such a slip). In the interview for the article Carlat is quoted of the Pfizer decision: “It sends out a message that there’s a level of distrust about the way they (the marketing firms) operate.”"
See the attack? He misspells my name! But beyond that, he accuses me of trying to hide the fact that I publish a CME newsletter and that I make money from it. Actually, I told the reporter about the newsletter, and she and her editor chose not to include the information in the article. So blame BusinessWeek, not me, and feel free to send a letter to the editor to that effect; I'm quite certain they would publish it. To those who believe that I try to hide my involvement in the CME business, I suggest you shift your gaze slightly to the right of this paragraph, where you'll see that I disclose this conflict of interest, in bold, on the front page of my blog. You'll find no such disclosure on the home page of Policy and Medicine, however. As it turns out, the writer of that blog is none other than Thomas Sullivan, who is the founder and CEO of Rockpointe, a very successful pharmaceutically-funded MECC that produces dozens of industry-supported symposia, primarily in the field of cardiovascular disease. Their website makes the following pitch to drug companies: "We deliver message-driven medical education programs targeting the confluence of medical science and clinical need." Hmmm. "Message-driven medical education." That sounds almost like a marketing line to me. But no, it can't be, because Rockpointe is a CME company, not a marketing company, right? It is possible to discover Mr. Sullivan's conflicts from his blog, but you'll have to scroll to the bottom of the page and click "about". If he is so concerned about conflicts of interest, why doesn't he reveal his own conflicts on his home page, like I do? Ditto for a number of people who posted negative comments about the BusinessWeek article. A certain "J Stotler" has (thus far) posted no fewer than five comments about how "deceiptful" the article is. Who is he? He is apparently Jonathan J. Stotler, MAOM, senior director, Institute for Advanced Health Education, Union, N. J. Mr. Stotler was recently quoted in this Medical Meetings Magazine article. Then there is Lew Pinsker, who accuses Weintraub of neglecting "due journalistic diligence in researching her subject." Mr. Pinsker fails to disclose that he is the Vice President of Editorial and Creative Services for Medical Communications Media, an industry-funded MECC that sells drug companies a product called "The Primary Care CME Synergy Plan" which "provides a consistent educational message by using a single faculty and set of learning objectives...." Gee, "consistent educational message." Marketing? No, must be CME. B. Martin criticizes Weintraub's "inability to differentiate between outright pharma marketing and the current status of industry-funded CME." She does not disclose that she is Barbara Martin, who, on her Pathophilia website, identifies herself as a "formerly practicing board-certified neurologist" who is now a full time writer in the "intriguing world of pharmaceutical marketing and pharma-supported continuing medical education (CME)." I guess that means her job is dependent on industry support of CME. We all have our conflicts of interest, and our conflicts inevitably inform our opinions. However, to those who base their arguments on attacking my conflicts, please make sure to disclose your own. This week's edition of BusinessWeek features an article entitled, "Teaching Doctors--or Selling to Them?" Written by Arlene Weintraub, the article focuses squarely on the commercially-funded CME racket, and its cornerstone example of bias is none other than Medscape's ridiculous CME article promoting Janssen's Invega (paliperidone) for the treatment of schizophrenia. This was the story I initially broke on this blog here and here. These moves are a blow to the marketing firms but by no means the end of their lucrative, multifaceted role. There are hundreds of such firms in the U.S. that design ad campaigns, hire doctors to educate colleagues about devices and medications, and produce conferences. Over the past decade, CME has become one of their most profitable businesses, as manufacturers have increasingly paid for the courses. Industry support for CME has quadrupled since 1998, to $1.2 billion a year, according to the Accreditation Council for Continuing Medical Education (ACCME), an organization in Chicago that approves CME providers. More than half of that is funneled to marketers, with the rest going to hospitals, medical associations, and other nonprofit entities. A spokeswoman for J&J's Janssen unit says in an e-mail that the company has no influence over its CME providers' selection of course content or faculty. "The accredited provider is solely responsible," she says. Talk about turfing the blame to someone else! I imagine that Medscape is none too happy with this quote. Meanwhile, Medscape comes across as fairly lame, because its CEO, Steven Zatz, defended the article by saying that they had recently "updated" it, but then refused to specify what changes were made. The answer, as far as I can see: none. Finally, the story ends with what is becoming a fascinating case study of how one company, Vox Medica, is pretending to comply with ACCME's new policy forbidding marketing companies from producing CME. Vox Medica is a multi-national pharmaceutical advertising firm with headquarters in Philadelphia. Promotional CME has always been an integral part of its business. Last year, in response to ACCME's call for firewalls between marketing and education, they "separated" their CME unit, "The Institute for Continuing Healthcare Education" from the main company. Is this separation real or simply a ruse to make ACCME happy? Decide for yourself. Here is Vox Medica's website. At the top of the page is their rather unfortunate slogan: "At Vox Medica, we are healthcare thinkers for hire." To the right of the slogan are links to their three major divisions. The top link is...that's right, The Institute for Continuing Healthcare Education. The message is clear to the pharmaceutical executives who log on to the website: Vox Medica is in charge of producing CME that will enhance product sales. There's a bit more here. In the new corporate shell game of "My CME division is unrelated to my marketing division," physical addresses matter. Here is Vox Medica's contact information. They say they are located in the "Curtis Building," suite 250-S, but they do not mention their street address. Here is The Institute for Continuing Healthcare Education's contact information. They say they are located on 601 Walnut Street, Suite 275-W, but they do not mention the name of their building, which is, of course, the Curtis Building. Arlene, the BW reporter, got the facts wrong in this piece in two areas: first, "marketing firms" can not be accredited providers of continuing medical education. The editorial she writes here states that I am with Vox Medica, even though I have been employed by the Institute for Continuing Healthcare, an independent corporation accredited by ACCME. Second, and more important, she misses the fact that all organization types -- medical education companies, universities, hospitals, and professional societies -- are paid by pharma via education grants to conduct unbiased education. Disappointing. Since Vox Medica owns your company, Weintraub assumed that your employer is Vox Medica. Thanks for clarifying, Stephen. We'll file this one under "False sanctimony." --Both drug companies and medical device companies must disclose any payments or gifts to doctors valued at $50 or more. These payments will be disclosed on a publicly accessible database. This will include any payments to hired gun physicians who are on company speaker's bureaus, but unfortunately will not include third party payments in which medical education companies launder drug company money and cut checks to physicians for industry-funded CME programs. This means, for example, that Pri-Med will still be able to convene its many industry-funded CME meetings in Boston and the physicians will not have to disclose how many thousands of dollars they are being paid to focus on topics of commercial interest to the sponsors. Overall, this is a partial win for transparency. I'll take it! --The Massachusetts Department of Public Health is directed to establish legally binding regulations governing the giving of gifts to doctors, regulations that must be at least as stringent as the recently announced PhRMA code, and may be more stringent. As I covered in a prior post, the new PhRMA code requests that companies no longer give tchotchkes to doctors (eg., mugs and pens) but allows in-office lunches. This is a purely voluntary code. The new law transforms this voluntary code into state law, and establishes a $5000 per violation fine to enforce it. Note that this is not a draconian fine to be paid by physicians, as a prior version of the law stipulated--this is payable by the drug companies if they skirt the regulations. --Massachusetts must establish an academic detailing program to provide unbiased medical information to physicians. This will be similar to the successful Pennsylvania program already in operation. Overall, this compromise bill is a great step forward, and I congratulate the many committed organizations that made this happen, including Health Care for All, the Prescription Project, and the Massachusetts Prescription Reform Coalition. Let's hope the governor signs the bill into law sooner rather than later!